The Amazon trip is in Puerto Maldonado , is a city in Southeastern Peru in the Amazon rainforest to 55 Kilometers ( 34 mi ) west of the Bolivia border, located at the confluence of the Tambopata and Madre de Dios rivers, the latter of which joins the Madera River as a tributary of the Amazon. 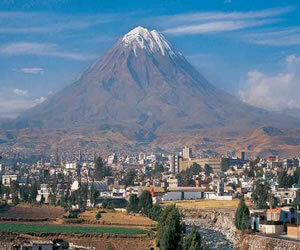 It is the capital of the Madre de Dios Region. There are some of the most pristine primary rain forests in the world, they include several oxbow lakes and clay licks, where hundreds of birds, including macaws, feed and clay. Travel to the amazon in search for an complete trip, full of adventure, with possibilities to find wild animals and the most attractive landscapes: The amazing macaw clay lick collpa in the Bahuaja-Sonene National Park; recommended for people with short time, special for birdwatchers. 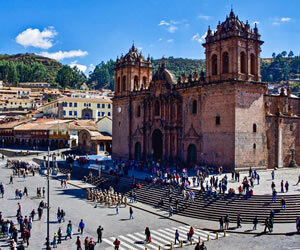 This Amazing trip, comes combined with 2 Day Inca Trail, city tour in Cusco, Sacred valley, Mountain biking in Moray, White water Rafting, Titicaca Island in Puno If arriving from sea level, plan to spend at least 2 full days in Cusco or in the Sacred valley (2 Days is better) prior to commencing the trek of 2 Day Hike. At 9:00am , pick up to start with the PRIVATE City tour where you will Visit The Government Palace, the Municipality palace, the Cathedral of Lima, and main colonial buildings around the Plaza Mayor, the 17th century Monastery of San Francisco the most magnificent colonial and monumental center of the America's, you will find a Basilica with 21 altars, the convent with the cloister, the Clementine and Capitulars room, the choir, the monks library and the Prefunds Museum that exhibits 11 paintings of Rubens. The sacristy exhibits paints of Zurbaran and Rivera. The Gran Patio is garnished with Seville's tiles from the XVI century and Moorish arcs. It also includes a visit to the underground tombs (catacombs). Then a short tour of the modern districts of San Isidro and Miraflores visiting places like The Love Park or The Indian Market (souvenirs & handicrafts). Finally we will visit a shopping center named Larco Mar, which was built on a spectacular cliff overlooking the Pacific Ocean. .. We will also visit an exclusive restaurant “La Rosa Nautica”, where you will have the opportunity to prepare your own “Pisco Sour” and the famous “Ceviche”. Enjoy a delicious lunch, consisting of the most symbolic dishes of Peruvian cuisine. 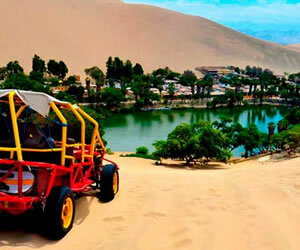 At the appropiate time, you will be picked up and transfer to the airport for the flight to Puerto Maldonado. Upon your arrival to the airport, our guide or staff will be waiting for your holding a small board written your names where you will be welcomed with a delicious tropical juice. After a brief explanation of the tour and accommodating the equipment, we will depart for the Trans-Oceanic highway, where we will take a dirt road to the Tambopata River. The road runs initially through plantations of local species and cattle ranches...Box Lunch on the road. As we get away from the highway and into the deep jungle, human presence gradually reduces until we reach the Tambopata River. There our boat will be waiting to transfer us to WASAI TAMBOPATA LODGE. After a pleasant journey of 20 minutes we will arrive to the Lodge. Reception and accommodation on the Lodge...After a short rest, we will make a nocturnal walk into the jungle to observe and listen to insects, bats, and frogs and perhaps have other encounters with another nocturnal mammal. Dinner and overnight in the Lodge. The various sounds of the rainforest will accompany us through our first night in the Amazon. Overnight at Wasai lodge. After your delicious buffet breakfast, you will be pick up from your Hotel at 9:00am by your English speaking guide to explore a vital Inca road once snaked its way up the Canyon that enters the Urubamba valley at Pisac. 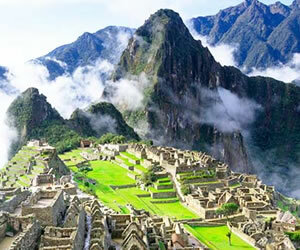 The citadel, at the entrance to this gorge, now in ruins, controlled a route which connected the Inca Empire with Paucartambo, on the border of the eastern jungles. Set high above a valley floor patch - worked by patterned fields and rimmed by vast terracing, the stonework and panoramas at Pisaq’s Inca citadel are magnificent. Terraces, water ducts and steeps have been cut out of solid rock, and in the upper sector of the ruins, the main sun Temple is equal of anything at Machu Picchu. Above the temple lie still more ruins, mostly unexcavated, and among the higher crevices and rocky overhangs several ancient burial sites are hidden. Afterwards, you will return walking around the mountain or you can just catch our private transport to explore the modern Pisac is a picturesque Andean village, typical except for the huge, spreading pisonay tree that dominates the central square. The village is best known for its Sunday market although now is open every day, which draws hundreds of tourists each week. In spite of its popularity the market retains much of its local charm, at least in the part where villagers from miles around gather to barter and sell their products. In the tourist section of the market you can buy wide variety of Handcrafts - mostly the same things you can see in Cusco. Pisac is a good place to buy the local ceramics including a huge and varied collection of hand-painted multi-colored beads. Enjoy a tasty buffet lunch in one of the tasty restaurant in Urubamba (variety of dishes and vegetarian optional) after the lunch, we will continue with the tour to Ollantaytambo was an important administrative center with probable military functions due to the walls and towers. There are also traces of ancient roads and aqueducts. 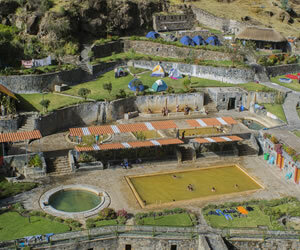 The town of Ollantaytambo is called a Living-Inca-Town, since the inhabitants maintain very old practices and customs. Continuing our trip, you arrive at the village of Maras where a tasty picnic will be waiting. Peru has one of the largest networks of Inca remains and following the innumerable trails that connect with the most amazing sites in the Cusco, passing through remote villages out of the reach of motorized vehicles, and having the chance to get know local Andean communities and learn their amazing life style. Mountain Biking is a relatively new sport in Peru, but new routes are rapidly being opened up, many of which offer excellent opportunities to ride. After your delicious buffet breakfast, pick up by our specialist staff and then you will be dropped off at the bus terminal to start this unforgettable experience. There are several ways to make this journey including a bus ride (10 Hours) that includes tourist stops at Andahuaylillas, Tipón, Raqchi, Pikillacta, and Sicuani for buffet lunch, La Raya and Pucara with spectacular views. Note: This trip to Puno can also be organized by airplane straight to Juliana (50 Minutes) from Cusco, where you can then transfer the rest of the way by road (A further 50 minutes) to Puno OR can be organized by Belmond Andean Explorer a Luxury train upon your arrival to Puno, you will be picked up and transfer to one those following hotels (Dinner on your own). After enjoyed your breakfast at your Hotel in Puno, we will pass to pick you up from your Hotel between 7:45 to 8:00am and then you will be carried to the port where you will board the motor boat to travel to one of the Floating Island of Uros Island where you will observe the lives of the people who live on the floating reeds island some only 20 meters in length. After hours of spent in the Island , we will continue traveling in our motor boat, we will get the next island called Amantani, just arriving there will be first contact with local’s families, they bring you up to the homes, there you get your accommodation for one night in basic typical room between the agriculture fields. The local family will supply yours all foods (1L - 1D - 1B). After lunch all the group together walk up to highest point of island, called Pachatata temple = 4200m. Is the best place to get pictures from all surround views of this blue sacred lake of the Incas. After the explanation of your tour guide, back to the homes to get your dinner and then you can go to enjoy typical dances with the local music players. Overnight in local family home.